Summary:With frizzy orange hair, a plus-sized body, sarcastic demeanor, and "unique learning profile," Danielle Levine doesn't fit in even at her alternative high school. While navigating her doomed social life, she writes scathing, self-aware, and sometimes downright raunchy essays for English class. As a result of her unfiltered writing style, she is forced to see the school psychologist and enroll in a "social skills" class. 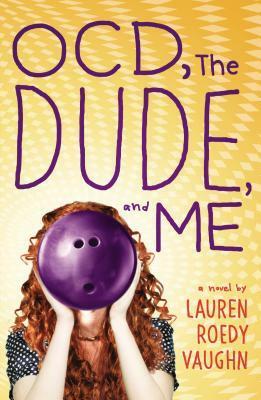 But when she meets Daniel, another social misfit who is obsessed with the cult classic film The Big Lebowski, Danielle's resolve to keep everyone at arm's length starts to crumble. My Thoughts: We see Danielle's senior year through emails, journals, and essays. She's snarky, sarcastic, witty, funny and downright lovable. She is what made this book, a fantastic wonderful main character. Not only is she all of those things she also, as you probably know, has OCD. I loved the format of this book and would also like to see a bit more of books like this, but one things I noticed was that, there was no issue, there was no problem, it was just....Danielle. I don't know how I feel about this, but I really enjoyed the book. Danielle is not the only character I loved. There was Aunt Joyce, Daniel, Marv and even Ms. Harrison's little comments at the bottom of Danielle's essays. They were hilarious and you know, what a normal teacher would write. Everyone is fairly believable and it's just a really good book. It took me places I didn't expect it to as well and got a tad dark at some parts. I wasn't really expecting that at all, which added to my enjoyment.